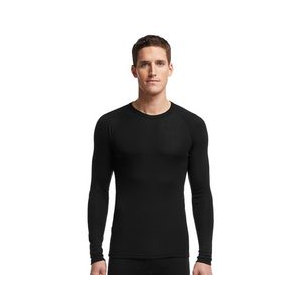 The standard for synthetic base layer tops. 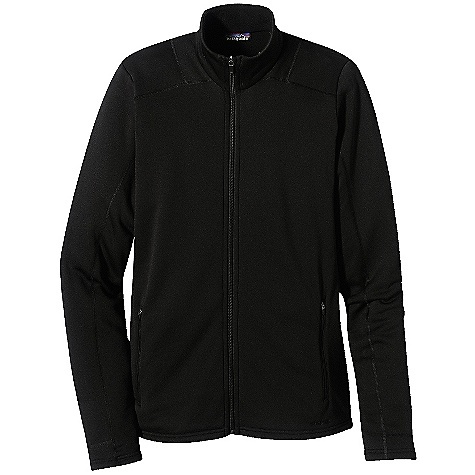 Patagonia quality, long lasting, soft feel, warm, excellent fit. None, unless you count price. I am a big fan of Patagonia's Capilene. I have a Capilene midweight top and bottom (back when Patagonia offered 3 weights instead of 4, as it does now) that I have owned since the mid '80s. Those two pieces have gotten a lot of use, including hiking, skiing, bike touring, climbing and just walking around and still look good. 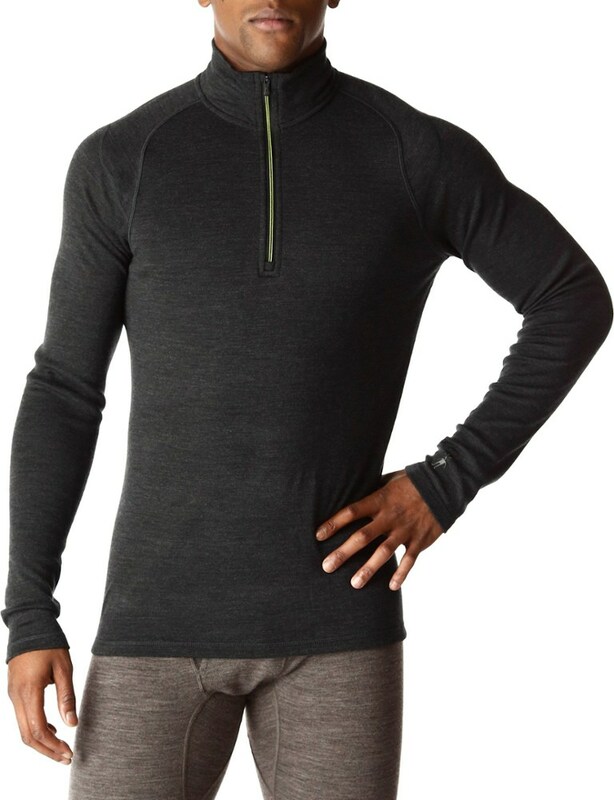 According to Patagonia's website, Capilene products are made from Polartec Power Dry polyester. I presume Capilene is a proprietary version of this fabric. 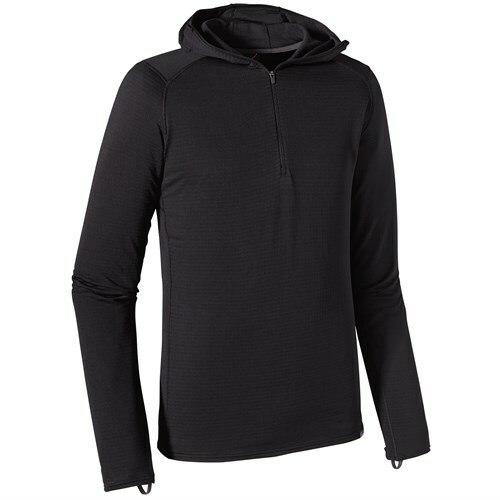 I bought it to layer over my midweight top or wear alone in colder weather. The fit is looser than the midweight, which is very form fitting, so if you want something that clings to your body, consider a size smaller than you usually get. The sleeves are long enough so that when you extend your arms out in front of you, your wrists are still covered, which I consider an important design feature. It is also long, so it won't pull out of your pants and expose your skin while bending over. The length might bother some people because there is a lot to tuck in, but I prefer it that way. The Expedition weight fabric has a soft, slick feel on the outside, but is textured on the inside, like fleece, which makes it feel more like wool than a synthetic. Capilene in general is warm,even when wet, and dries very quickly. Unlike the old polyesters, Capilene doesn't smell like a wet dog or worse after extended (multi-day) wear. 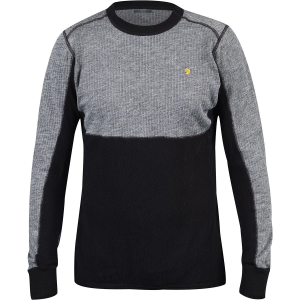 My top is gray, but it is available in different colors. I wear mine as a top around town (LA) under a light fleece jacket, but it is a bit warm to wear indoors for long, so it is better suited for walks or sitting outside. About Patagonia pricing: Patagonia clothing is expensive, no question. However, my midweights have lasted more than twenty years, so I consider them a bargain. Patagonia does have sales every now and then and I got my top half price at my local Patagonia store (in Venice on Main for you locals). Patagonia is a progressive company started by Yvon Chouinard, a well-known climber and evironmentalist (he also started Black Diamond). The company donates to environmental organizations and supports recyling. FYI, the Patagonia store moved to 1344 4th St, Santa Monica. This is THE staple of my winter wardrobe. I think my friends get sick of seeing me wear these. They are spendy when they aren't on sale, but you can't beat the warmth, sooo warm. Worth every single penny. One thing that is important to mention: if you don't really NEED the warmth of Capilene 4, and you think you will be sweating a lot, Capilene 4 will make you too hot. It's fantastic for slow mountaineering, taking in the beautiful winter scenery, and doing all that standing around in the cold that seems to end up happening. 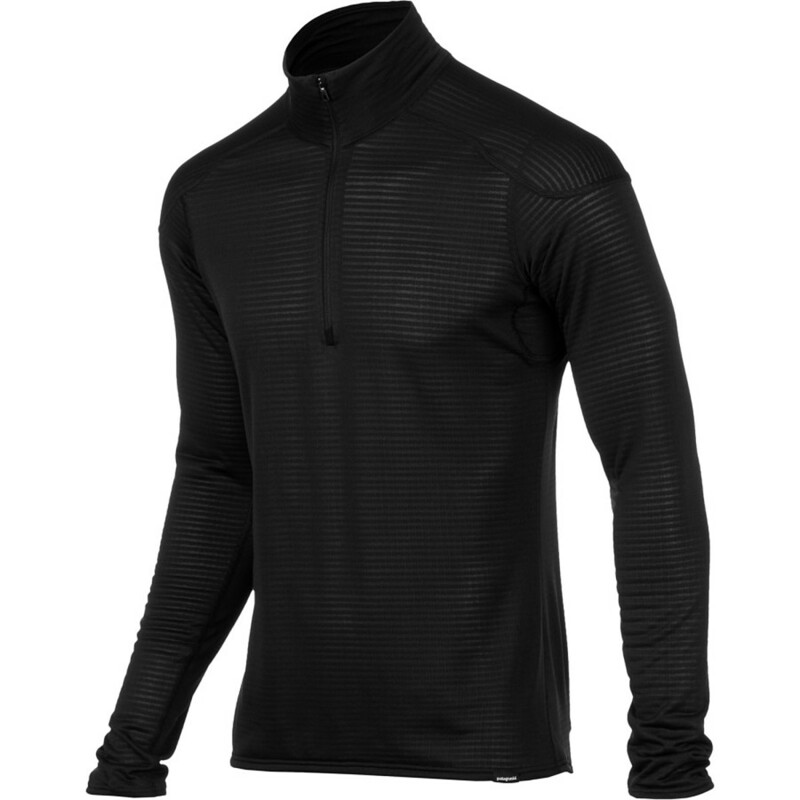 Not so great for fast pursuits, very warm bodies, and lots of sweating, even if it is cold. 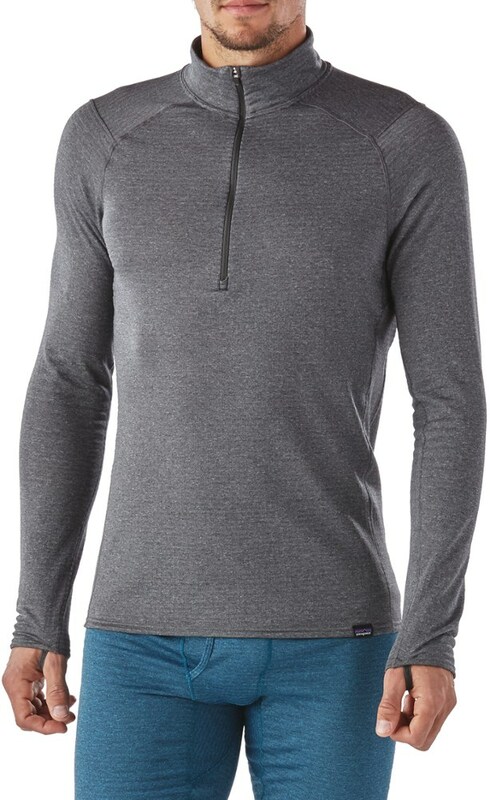 The Patagonia Capilene 4 Expedition Weight Zip-Neck is not available from the stores we monitor. It was last seen January 9, 2018	at Backcountry.com.